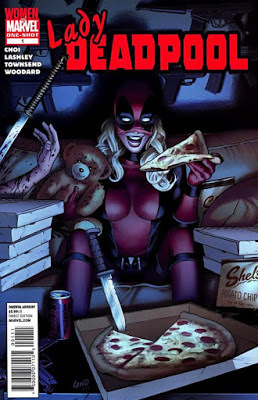 She's Fantastic: Marvel Legends - LADY DEADPOOL! Marvel Legends - LADY DEADPOOL! Marvel Legends has been killing it lately with the female action figures. I'm a big fan of the obvious female revamp of existing male characters. I know on the surface these characters can seem reductive and cliche, but I always love making the direct comparison between genders when all the other factors are basically identical. although these gender swaps can lead to some very lazy design. It's a true comic trope to slap on some breasts and a ponytail and assume you've done your part for gender equality. 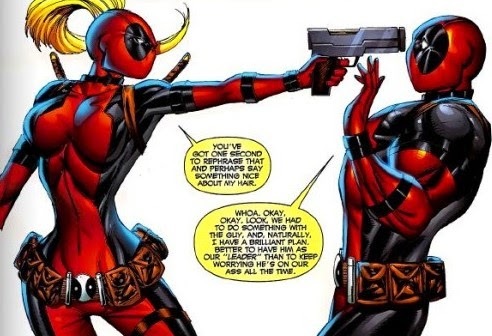 I normally roll my eyes at these half-assed attempts, and Lady Deadpool is a perfect example of it, but something about this specific example is so wrong that it's right. It took me many years to get on board, but I am currently quite a fan of Wanda Wilson and her gravity defying 90's ponytail. Hasbro really has been giving me all the figures I want lately. So to put it out for the universe to hear, my top wanted classic character is Firestar and modern is Ironheart. Fingers crossed! 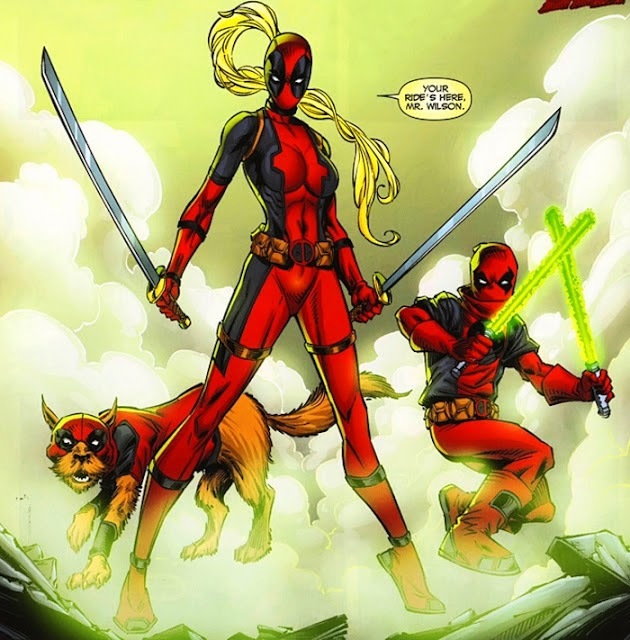 Let's check out Lady Deadpool below! 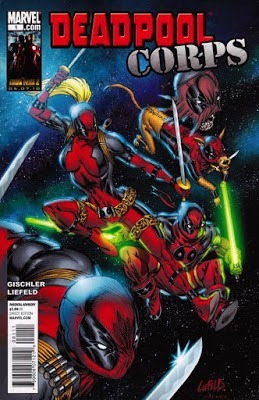 Lady Deadpool comes with her signature swords and her disembodied zombie friend, Headpool. 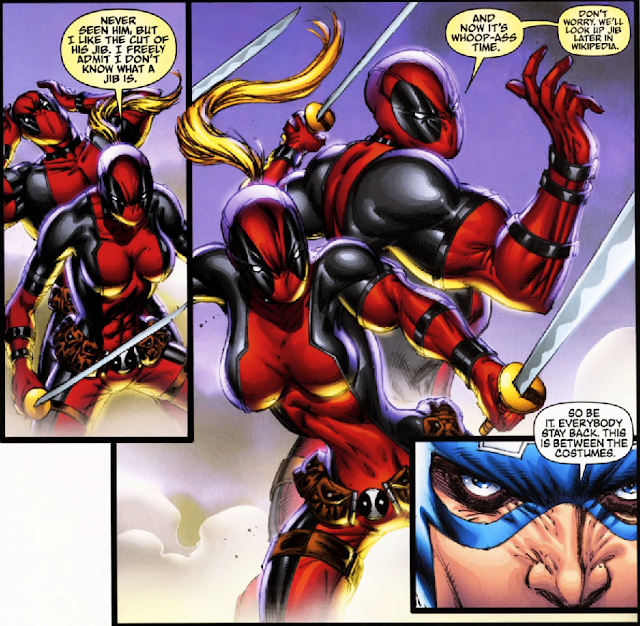 While Lady Deadpool does not have actual scabbards on her back, her shoulder-straps are sculpted in way so that there are two slight gaps where her swords can slide in. Lady Deadpool also come with the Right Leg of the Build-a-Figure Sauron. Here she is with her wave-mate, All- New Wolverine. From Left to Right: Factory Entertainment Diecast, Gentle Giant Mini-Bust, Marvel Legends, Marvel Select, and Marvel Universe.